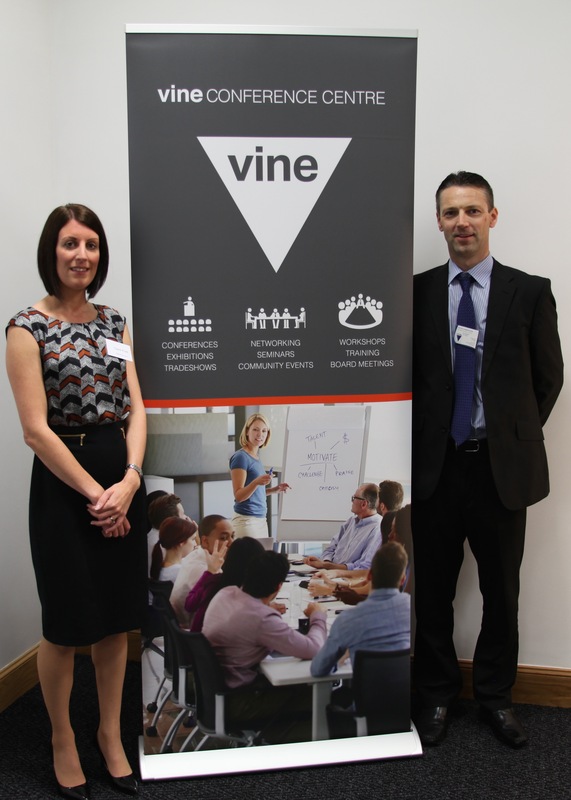 Wednesday 7th October saw the launch of a brand new website, new logo and a new conference room at the Vine Conference Centre in Dunfermline. Over 45 local business owners attended the official opening of the Pentland Room, which saw Janet Torley from the Federation of Small Business cut the ribbon to open the room, with manager of the Vine Conference Centre, Tim Thomson, also in attendance. Following the opening the attendees were treated to a talk on 'Making Excellence a National Characteristic of Scotland' from the new CEO of Quality Scotland, Claire Ford. ”Our venue has been crying out for a 'mid-sized' room to accommodate numbers of between 55-100 and now at last we have it. This is an exciting new chapter for the Vine and opens up a whole new area of business for us. It was also great to see so many local business owners in attendance showing their support for our expansion and great to see so many people networking”. For more information on the Vine Venue, click here.